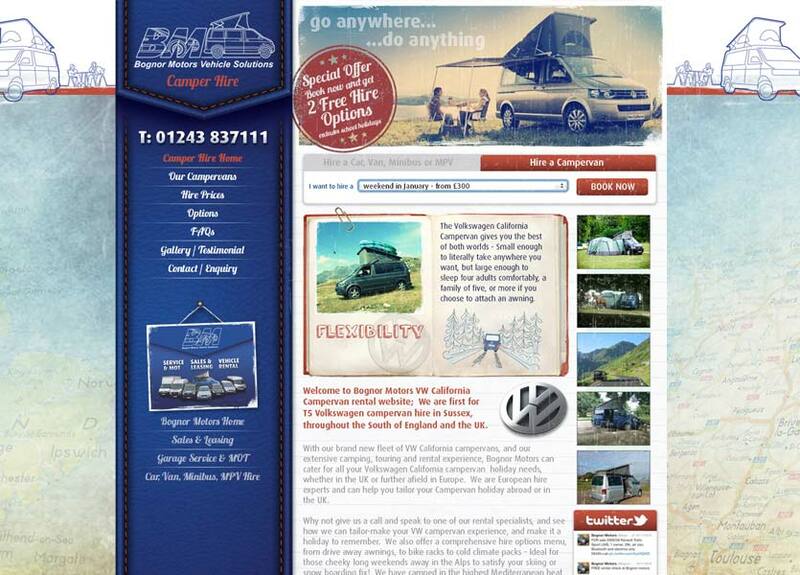 Bognor Motors provide VW California Campervan rental in Sussex, South of England, and the UK. They commissioned Media Circus to design a website that evoked the retro feel of the iconic VW campers, but with a contemporary twist as their VWs were the super-modern, state-of-the-art ( but still iconic) brand new California camper vans. Once again, Media Circus provided the Photoshop page layouts and a Web Developer built the site.